Whether you carry a large format tote bag, a clutch, a cross body style purse or something in the middle, a purse is essential. It could be black, gray, tan, or light blue, monogrammed or plain. It could change with the seasons, the occasion, or the outfit. Whatever works for you, a purse or bag is an essential accessory. 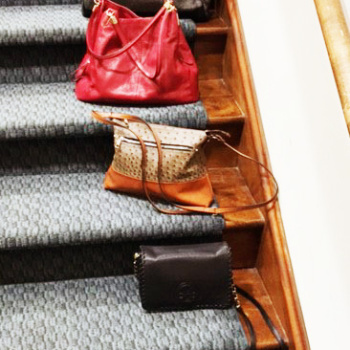 See how well you know Grand Council by matching the Council member to their purse information.